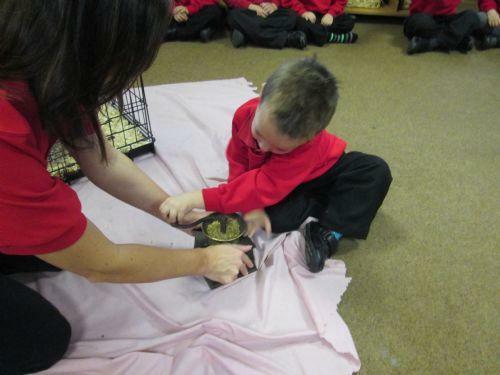 Farmer Nick and Mary the hen. 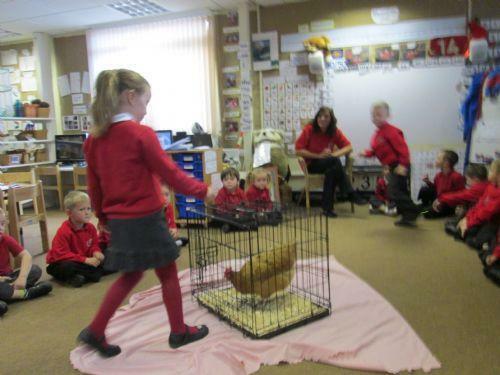 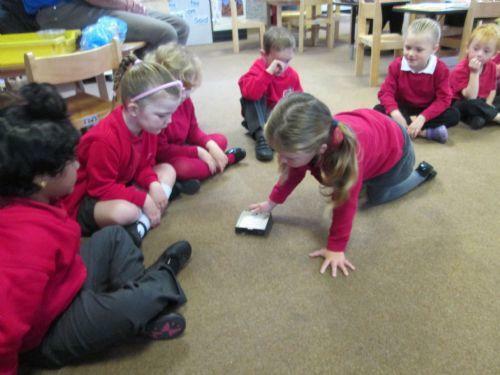 Today Farmer Nick visited the Reception class with Mary the hen. 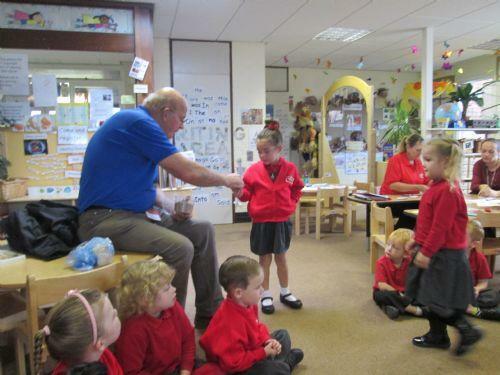 The children had the story of The Little Red Hen and helped Farmer Nick make flour with his Wheat.